What law currently exists regarding the care of children with diabetes in school? children with diabetes in Canadian schools. that has changed to reflect the individual needs of its students over time. with diabetes should be cared for in their provincial schools. a policy specifically to deal with the needs of its students with diabetes. This policy is still undergoing changes and challenges. With the merging of school boards in Newfoundland and Labrador down to just two, this province has also recently added a policy for children with diabetes in their schools. In most other schools throughout the country, diabetes is dealt with in one of two ways—they either have parents sign an “Administering Medicine in Schools” form or have them complete an Individual Support Services Plan (ISSP). Neither of these forms truly outline the responsibilities, needs, and roles of the school, the parent or the student. As we all know, diabetes care has changed monumentally over the past 20 years. At one time, children with diabetes were sent to school with only lows to worry about. Small glucometers, multiple daily injections, ketone meters, insulin pumps and CGMs either did not exist or were a rarity. This is not the case today. Today, we have more technology, more knowledge of what diabetes is all about, and more children than ever who are living with this disease. That sadly does not mean that the school system or the general public is any more aware than they were twenty years ago. What is being done elsewhere? them the option to retest at a more appropriate time, etc. Should a federally funded school fail to honour what is noted in the “504 Plan”, they can be penalized by the Office of Civil Rights. In Canada, our education funding works much differently than in the US. We are not able to implement legislation and demand that all province follow through or else. We have seen some interesting changes in policies. The most relevant to us is a legislative change in the province of Ontario. Law. This law protects children with life-threatening allergies and demands that a care plan is put in place for each and every child in Ontario who goes to school and has life-threatening allergies. How does that help children with diabetes? life-threatening illnesses chronic. It would follow the guidelines of Sabrina’s Law. Each school would be required to meet with the parents of children with life-threatening, chronic illnesses at the beginning of each school year. They would establish the protocol of dealing with the child’s illness and care. The plan would outline responsibilities of all parties involved. It would provide an Emergency Care Section, a section requiring in-services for all staff members who come in contact with the child, as well as information for supply teachers. Why would schools want to adopt this plan? Today we are seeing a significant rise in the number of healthcare issues that schools and personnel have to deal with on a regular basis. To create a policy for each disease is timely and costly. An IHCP would solve that issue while protecting all children. 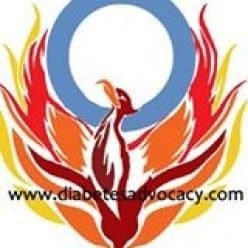 Write to your Minister of Education and ask that he/she adopt either a Medical Care Plan or more specifically a policy for Children with Diabetes in their schools. “life-threatening illness” means any chronic illness or allergy that in certain conditions, when left untreated or improperly treated could lead to death such as diabetes, severe allergies, asthma and epilepsy. “administration of medication” does not include the treatment of hypoglycaemia with juice or other glucose sources when a child with diabetes is conscious. as in the Education Act, unless the context requires otherwise. illness policy in accordance with this section. life-threatening illness to parents, pupils and employees. for each pupil who has a life-threatening illness. the pupil’s physician or nurse and a current emergency contact list. Obligation to keep school informed. there is no preauthorization to do so under subsection (1). the damages are the result of an employee’s gross negligence. any person may have under common law. Again, please let us know what you think of this draft .